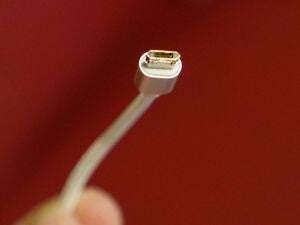 The USB 3.0 Promoter Group announced on Wednesday that it had finalized a new type of connector for USB cables that would fit into your PC no matter which way the cable is oriented. But if a USB 2.0 cable will do the job, you don’t have to wait. Tripp Lite has been shipping reversible USB 2.0 cables for several months. The connector on the host side of the cable is in the middle of the shell and has electrical contacts on both sides, so it doesn’t matter which side of the cable is facing up when you plug it into your PC. The other end of the cable that plugs into the device you’re connecting, on the other hand, hasn’t changed. It still needs to be oriented a particular way, but the frustration most people encounter is at the host end anyway, especially when you’re plugging the cable into a USB port on the back of your PC. The electrical contacts at the host end of Tripp Lite's reversible USB 2.0 cables are in the middle of the shell, so it doesn't matter how they're oriented when you plug it in. 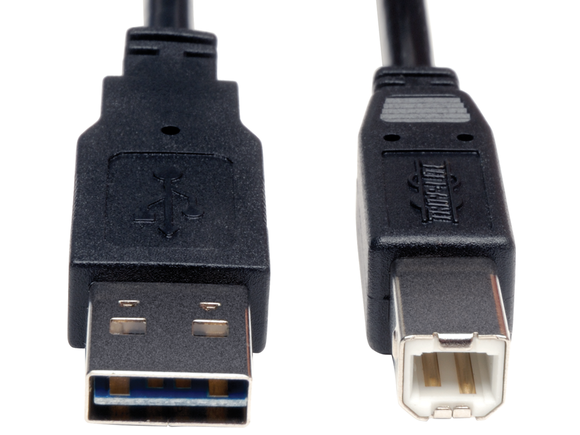 Tripp Lite sells 22 reversible USB 2.0 cables with reversible Type A male connectors on one end and a variety of connectors on the other, including Micro-B male (used with many non-Apple smartphones), Type B male (commonly used with printers and some USB audio devices), and Type A Female (for extension cables). Tripp Lite does not manufacture any of these cables with Apple’s Lightning connector. Cable lengths range from 3 to 10 feet, and they’re available with both straight and right-angle connectors. Be sure to shop around, as we found prices to be all over the map. ProVantage was selling a 3-foot reversible Type A male to Micro-USB B cable for $3.42, CDW was selling the very same cable for $8 and NewEgg was selling it for the princely sum of $12. TrippLite has links to online merchants on its website for easy comparison shopping. 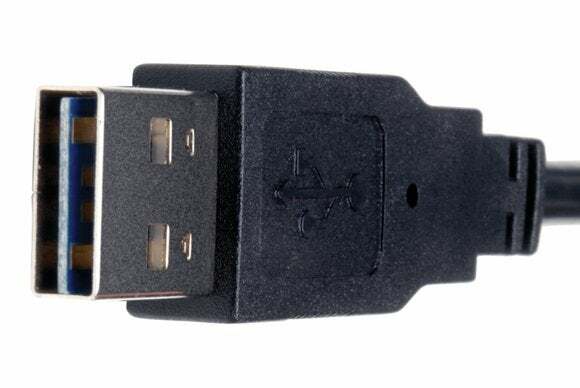 If you don’t find the convenience worth the premium price tag, you can pick up a generic 3-foot Type A male to Micro-USB B USB 2.0 cable at online retailers such as MonoPrice for less than a buck—and just curse every time you plug in the cable the wrong way.